When I go to Colorado I always get to check out this great grocery store, Sprouts. They always have fun stuff to check out, especially meat that is not super easy to find. The latest one I checked out was Ground Wild Boar. I will always remember how much I loved Warthog when I was in South Africa a few years ago and this seemed like it might be fairly similar. It is ‘… all natural and feral from Texas. 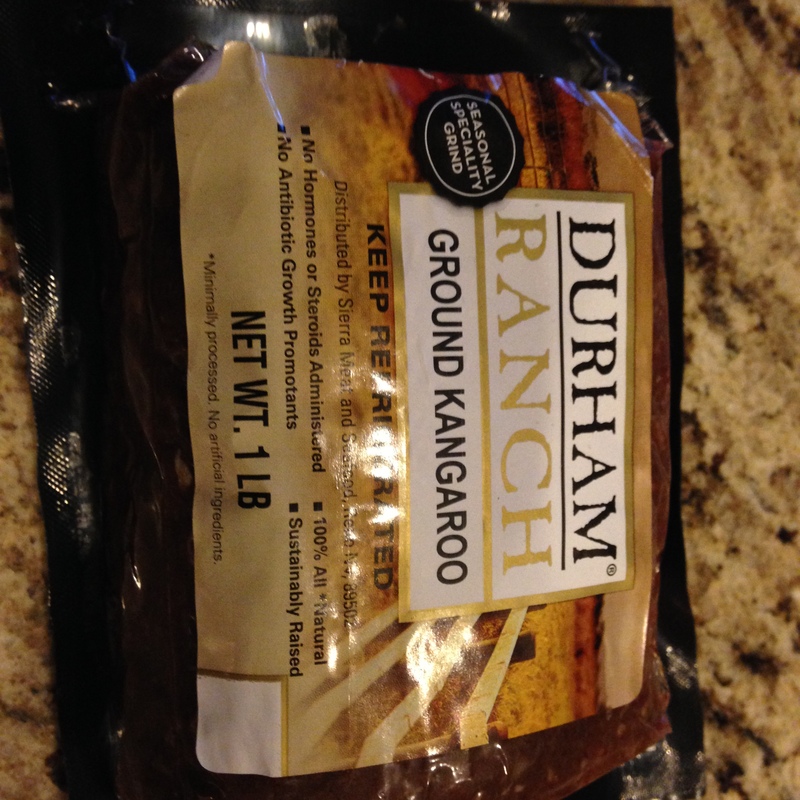 It is trapped in the wild and processed exclusively under the Durham Ranch label. Each animal is hand selected and sited to our exact specifications.’ It is also a nice lean meat and was absolutely delicious. I wish it was easier to get. We just made it into patties and threw it on the grill. Am finding more good new stuff to try. 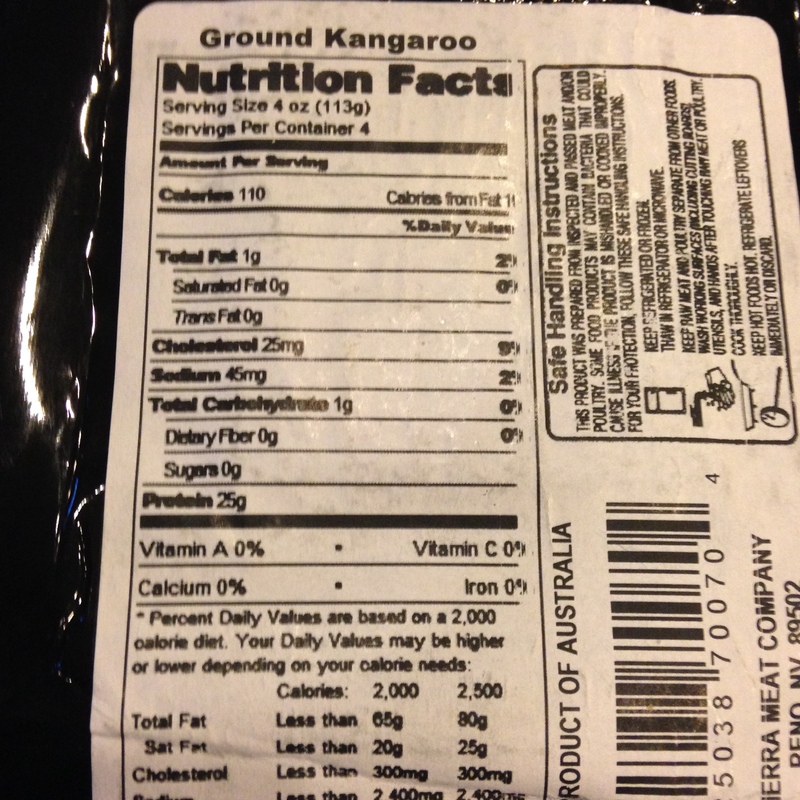 In this great local store called Sprouts, while walking through the meat department I noticed some kangaroo (easy way to get to Australia, right? ), distributed by Durham Ranch. After trying warthog and ostrich earlier this year in South Africa, I had to consider this. I picked up the package to inspect. Very lean so decided to give it a try. Looked up some recipes that evening and most said just to add some spices, an egg and breadcrumbs. Did that and the patties are cooked rare-medium rare. With all said and done, very good! Very unique, mild flavor. Tough to give it an exact description for taste because it doesn’t taste like anything else. You can tell it’s wild game, but it doesn’t come across ‘gamey.’ I definitely recommend picking some of this up if you enjoy trying new food!